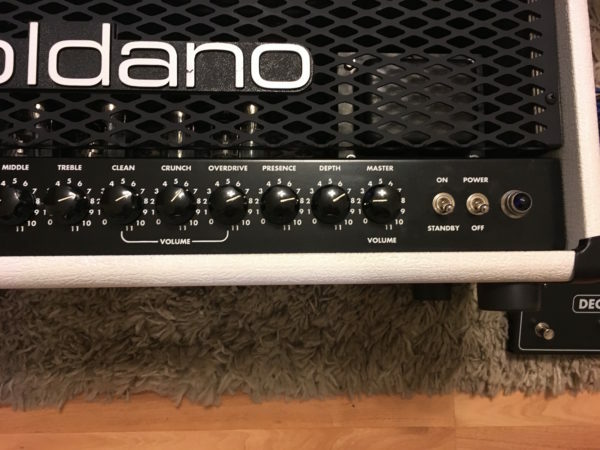 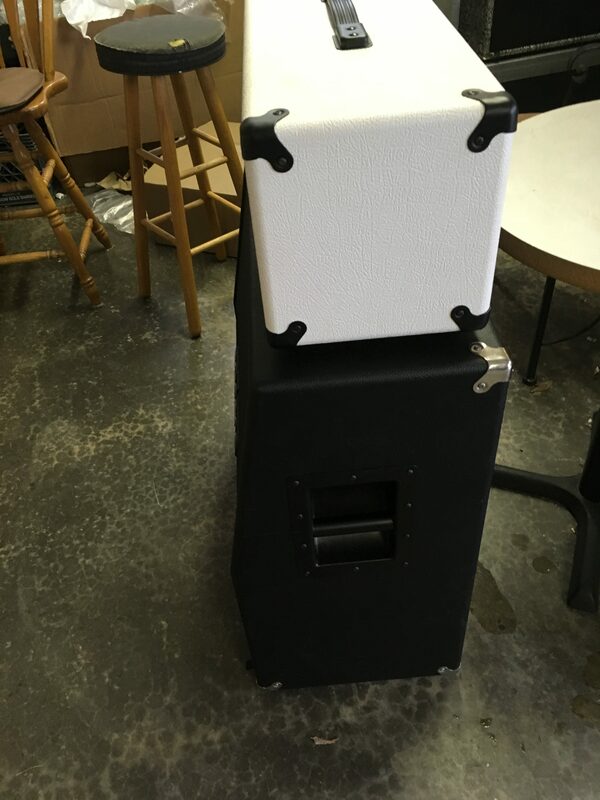 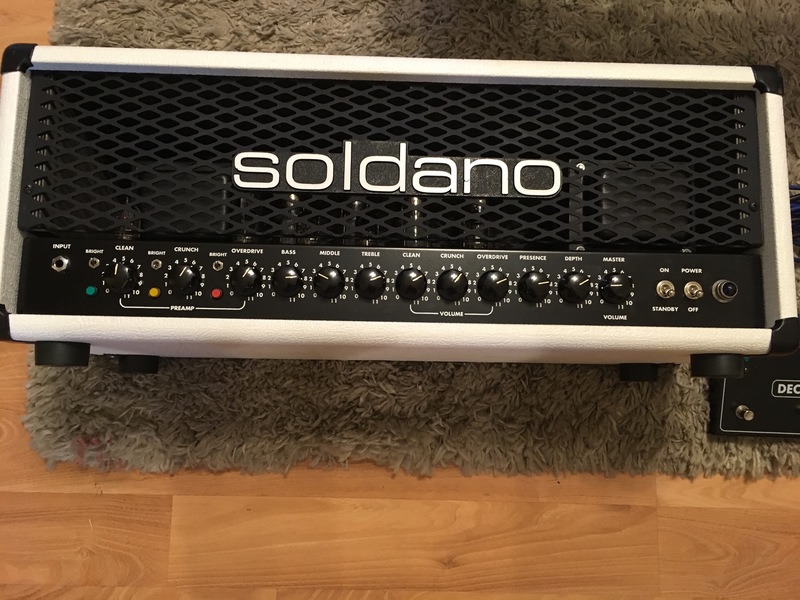 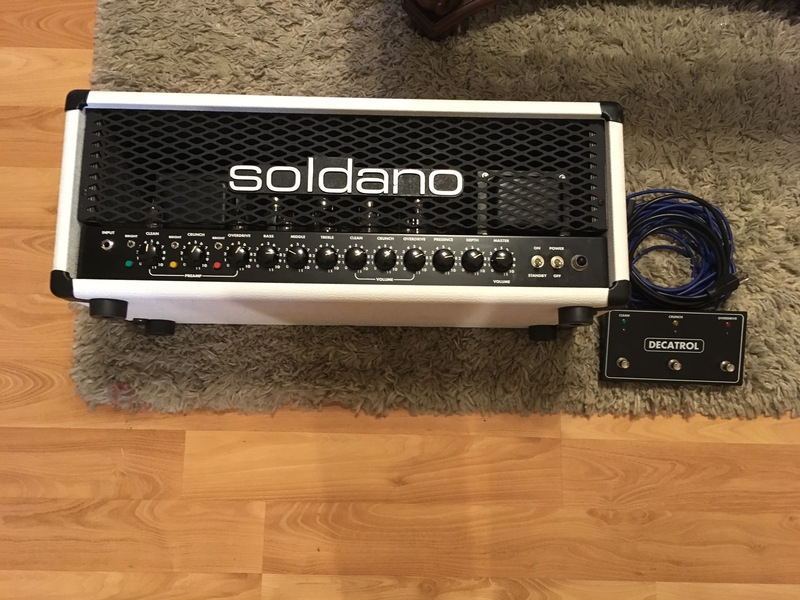 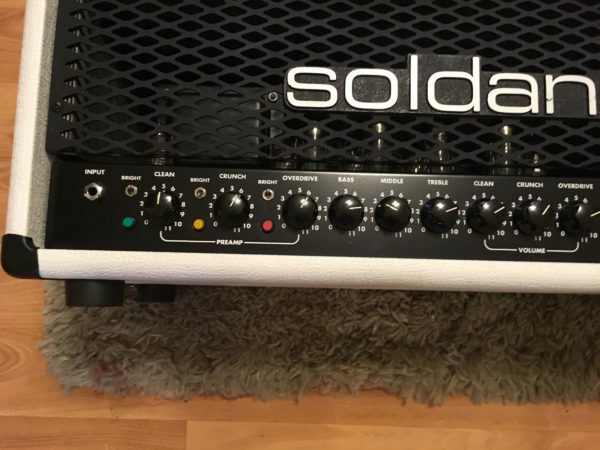 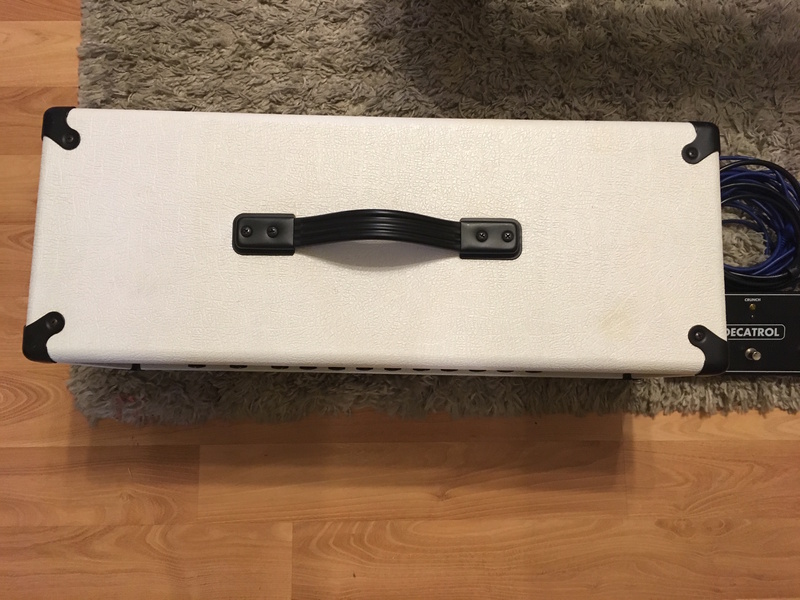 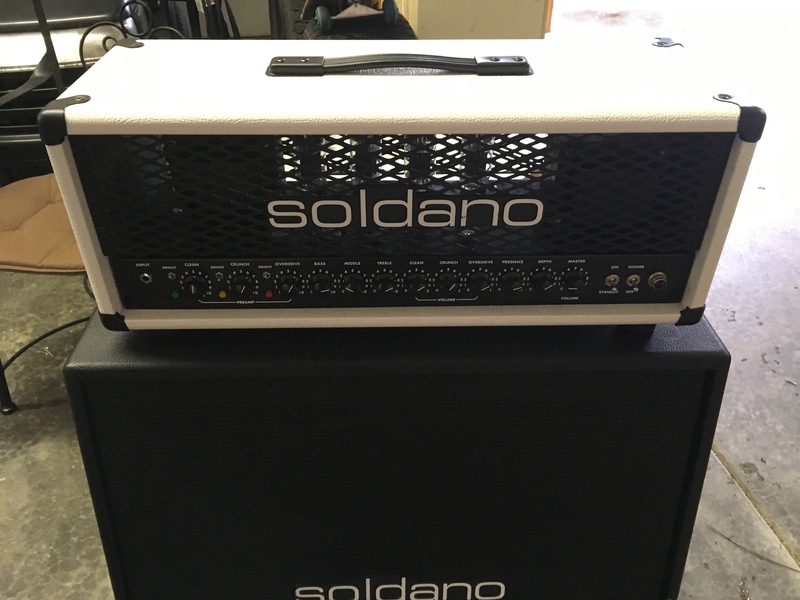 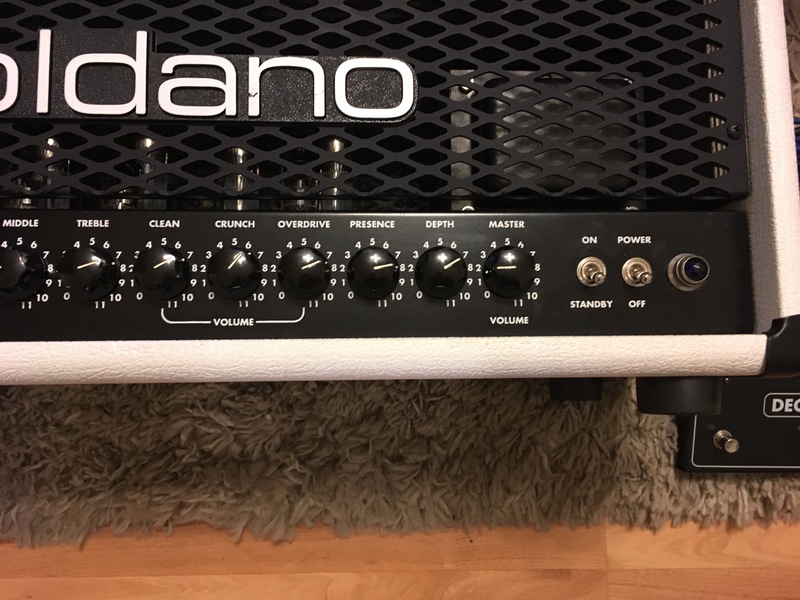 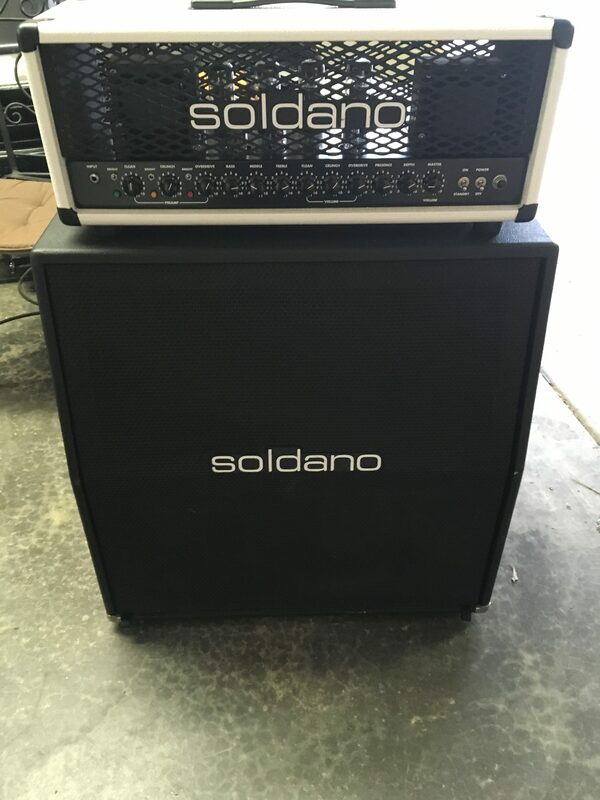 Soldano Decatone Triple Channel Tube Guitar Amp Factory White Tolex in mint condition with footswitch and cable. 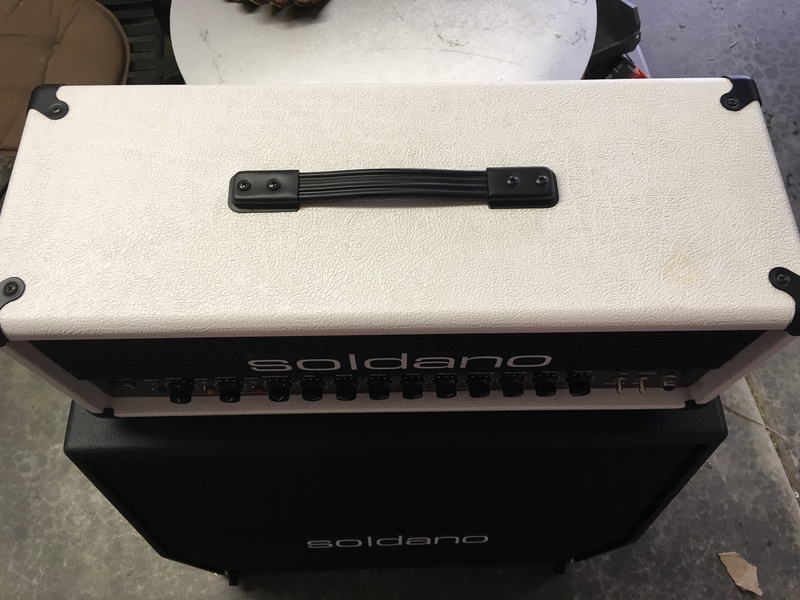 Just in to Roadhouse Vintage is a Soldano Decatone in factory white tolex. 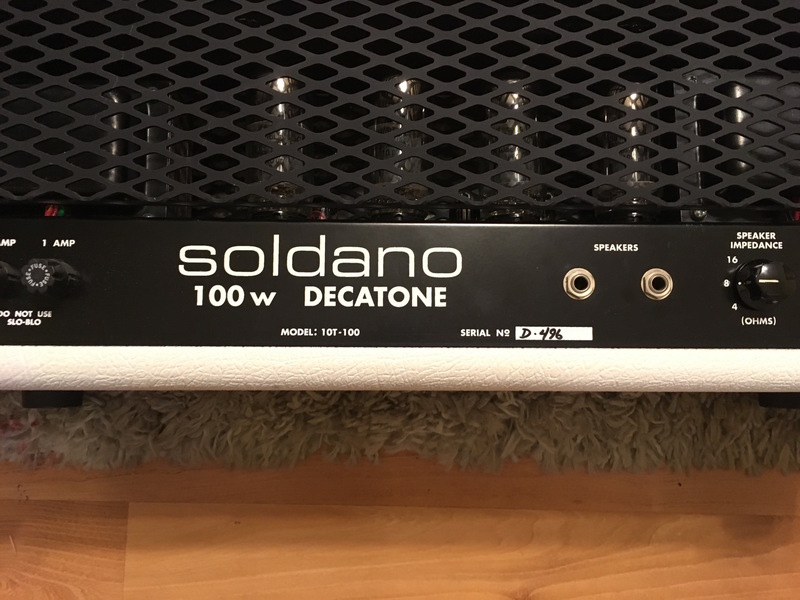 This is my favorite of the Soldano line, I have another in red snakeskin that I have played live for 20+ years. 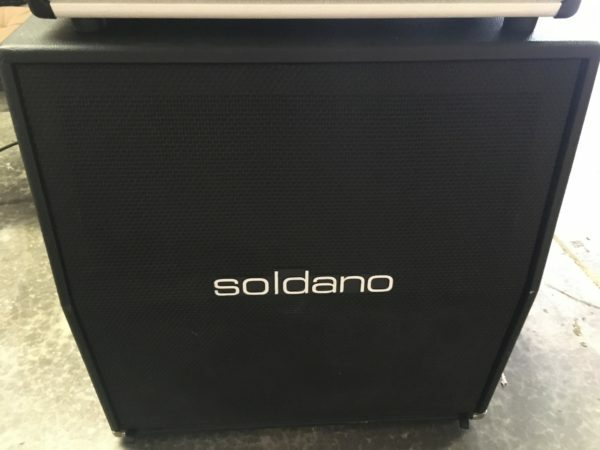 With Mike Soldano retiring, ALL Soldano amps have become extremely scarce, especially ones in tolex other than black. 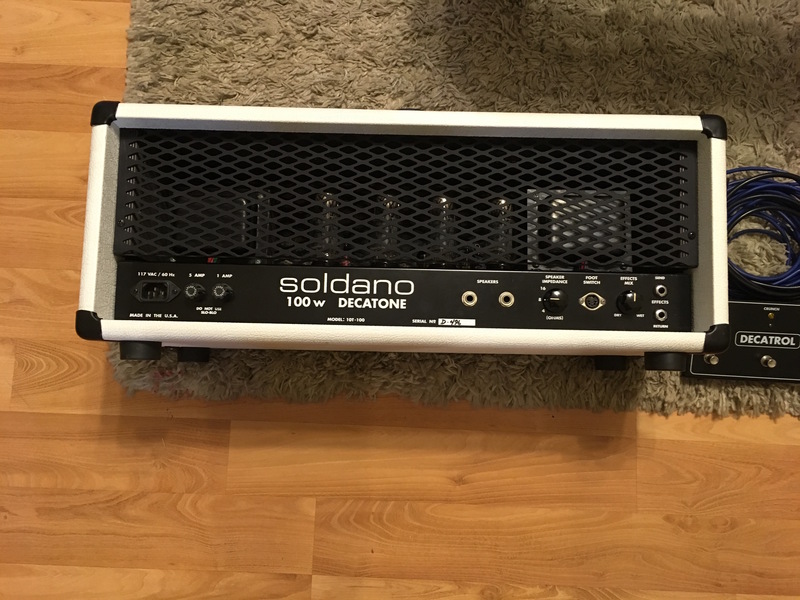 This amp is in mint condition and comes with the Decatrol footswitch and cable. 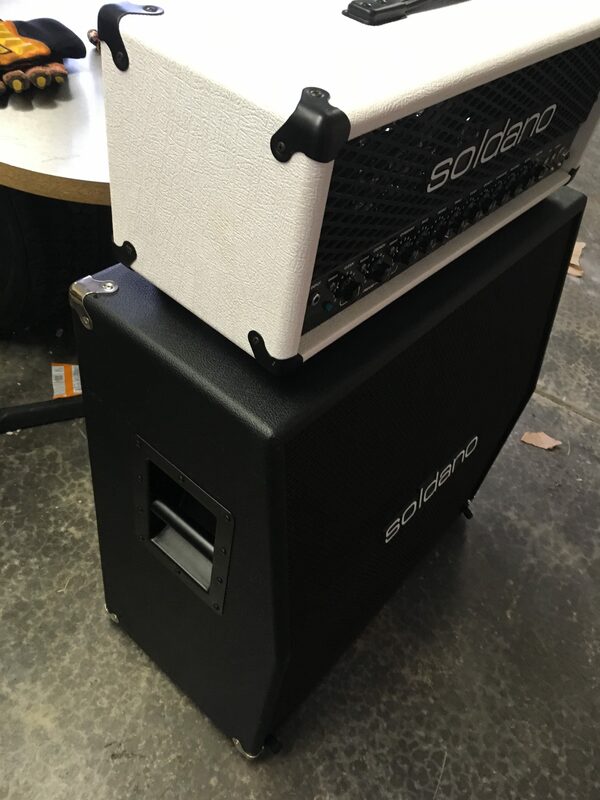 ****We do have a black Soldano 4×12 cab to pair with this head that looks awesome!